OVER the years he has become one of The Allanwater Brewhouse’s most popular performers with his Tuesday night mid-week slot regularly rammed but we are delighted to present John Boyd as our Saturday night top of the bill entertainment this week. 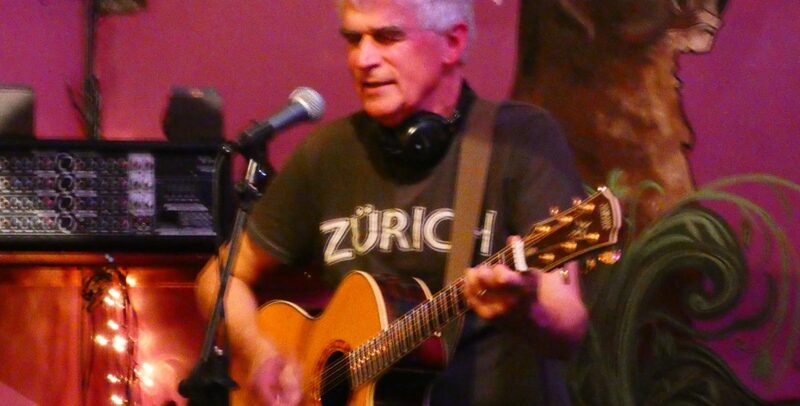 John’s (pictured above) magical dulcet tones have regularly invited comparisons with Neil Young, especially during his days with Crazy Horse and we very much hope John treats you to his unique version of ‘Waltzing Matilda’ when he takes to the Brewhouse stage at 9pm on Saturday. One of Douglas’s favourite renditions!!!!! But there is one thing we can guarantee you and that’s once you’ve been bitten by Crazy Horse you will definitely be coming back to The Brewhouse for mare! 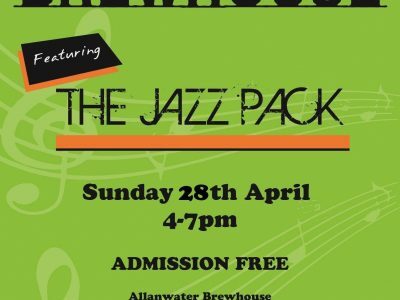 There is no doubt that the weekend ahead is one that showcases some of our most popular performers and on Sunday at 4pm we will be presenting the hugely popular Jazz Pack (pictured below), our house jazz band, who will continue their monthly residency with us. The band’s versatile line up means you are guaranteed an assortment of easy listening mainstream jazz styles plus Swing, BeBop, Latin and Funk with arrangements from stage and screen musicals also included plus a bit of Blues and Jazz Rock thrown in for good measure. 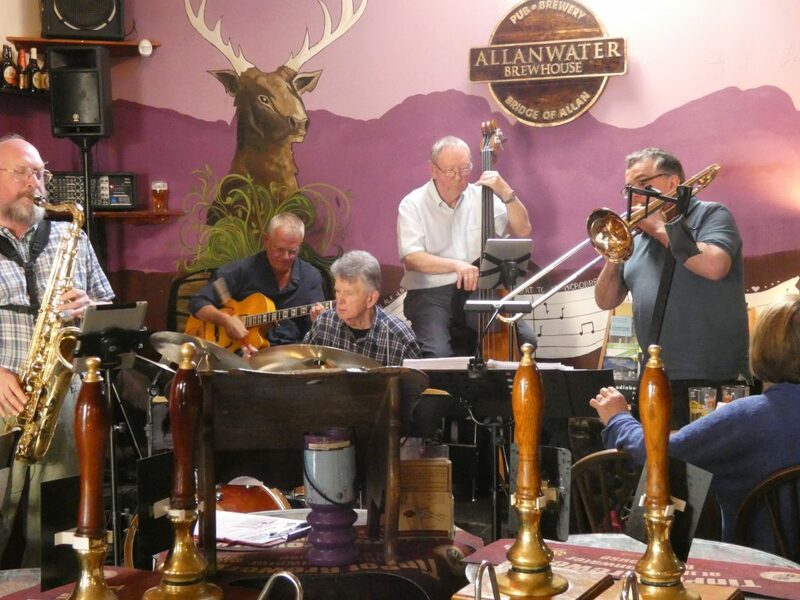 So if you like your Sunday afternoon’s easy with a capital ‘E’ then why not join us to savour Central Scotland’s finest jazz sextet. 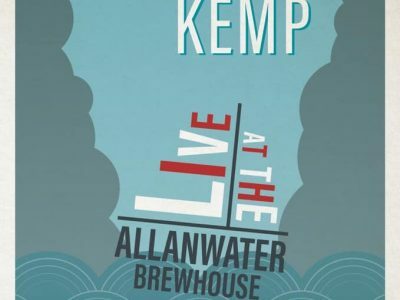 Of course while all of that tremendous music will be filling our airwaves some of the best beers you will ever sip will be pouring and we want to tell you about two! Our sensational “Hop Nouveau’ is still being pulled at the bar (while stocks last!!) and as you can see from the pic below this pint is a thing of rare almost mythical (steady!) beauty! It is also created from freshly harvested new season green Hops making it a uniquely refreshing and distinctive pint that is necessarily a once a year event, which on Monday night was described by one of our thirst-tortured patrons as ‘unbelievable’ ! So we urge you to waste no time in trying a drop or face the crushing disappointment caused by the sell out sign! But our brew of the week will be our ever popular traditional Scottish style 80/- which is packed full of rewarding malty flavours and a stunning chocolate aftertaste. 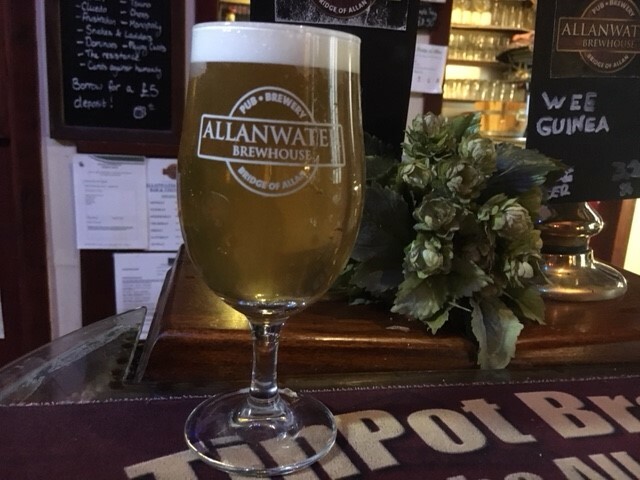 As always you can enjoy the full avuncular appreciation of this one in our Brew of the Week Blog featuring, yes, you’ve guessed it, the permanently parched Adam John Paterson, elsewhere on our website. Naturally our bronze, silver and gold Brewhouse tours and Sunday Barbecues are continuing throughout the year and with every tour unique and tailored to provide you with a rich and rewarding experience we can guarantee you that just like these ‘tourists’ below your satisfaction is guaranteed. 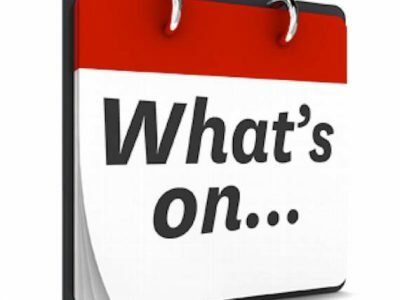 But before we go it’s time to look back on another tremendous weekend of live music at The Brewhouse as we continue to underline our status as Central Scotland’s top live music entertainment venue. 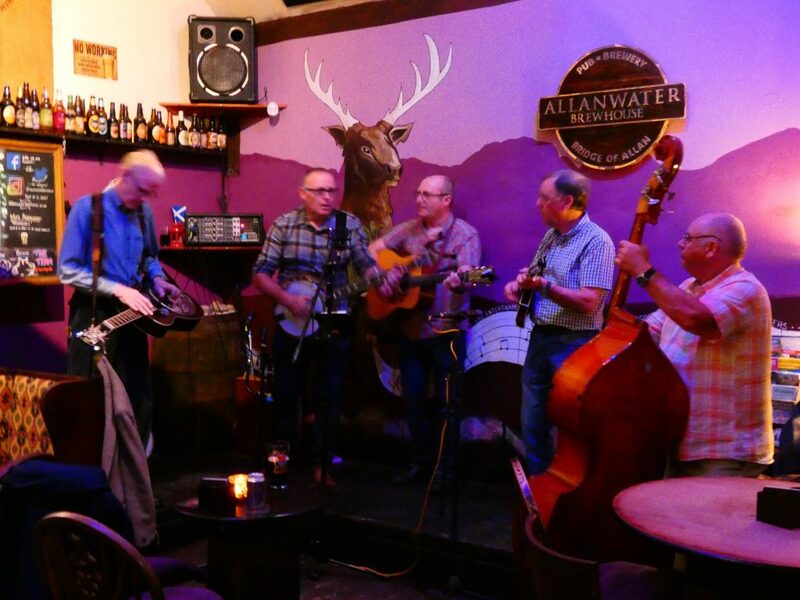 Last Saturday Edinburgh’s Dapper McDans (pictured below) had The Brewhouse brethren rocking in their chairs to an assortment of blue grass and old time classics as they gave it laldy! 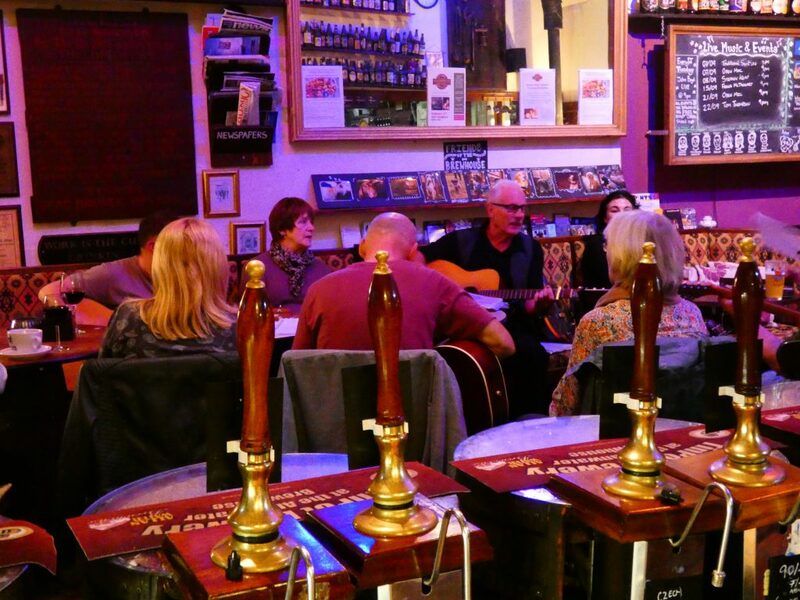 But despite a few ‘interesting’ musical interpretations providing some ‘unforgettable’ moments on Friday evening at our Open Mic session the performance of the weekend undoubtedly came from legendary Clydesiders frontman Dave Whitton. Until next time…..That’s All Folks!